Even though French doors are incredibly popular, when someone spots a dining room or bedroom outfitted with them, admiration generally follows, as if the doors are special and rare. While they’re not rare, they certainly are special, and homeowners can’t get enough of them. It’s no surprise then that these doors – whose style dates back to the 16th century – have made their way into the bathroom. If you want to give your bath an elegant or updated look, consider replacing your current shower door with one of these beauties. Here are a few things to keep in mind. 1. They’re a small bathroom’s BFF. A French door on a shower stall works very well in a bathroom where space is at a premium, says Sharon Flatley, owner of Flatley Design, a Dallas firm specializing in kitchens and baths. “It makes it easier to enter the shower space, and you don’t have to worry about the door swing.” Some let you choose a left or right walk-in; others are designed to slide open. The top-to-bottom glass panels on a French door will make a small space appear larger, too. 2. They range from classic to contemporary. The distinctive style of French doors – multiple windows throughout the entire frame – works in both traditional and modern design. “Some doors have sliding rods at the top like a typical barn door system, which gives them a very modern feel,” says Flatley. 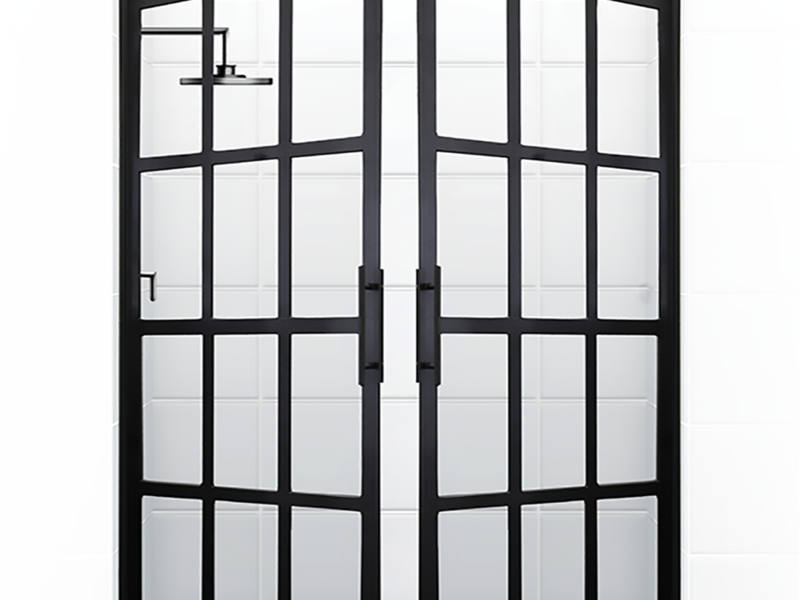 A steel-framed door is a good choice for a traditional look. 3. They’re compatible with other elements. 4. They can fit any budget. 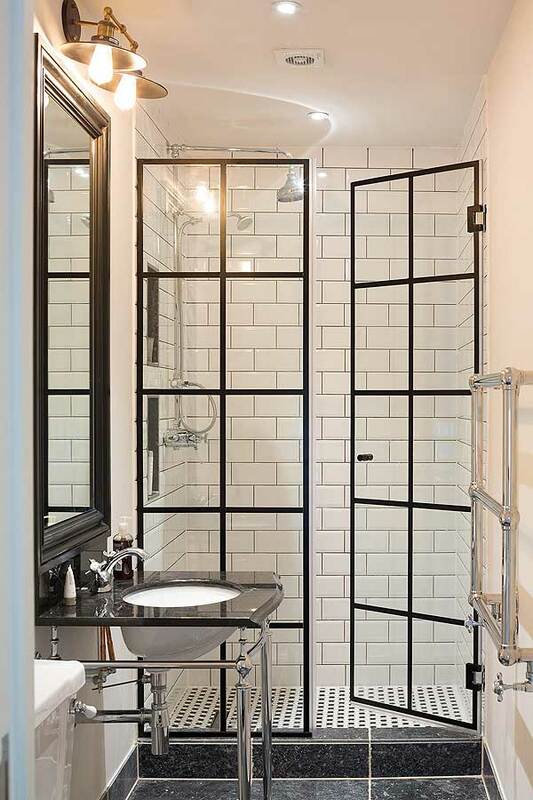 While many French doors for the shower are custom designed, mass-market retailers like Lowe’s and Home Depot sell them too at much more affordable prices. There are even some on the market that are environmentally friendly and made from upcycled doors. 5. They’ll always look fresh. Struggling to keep your home project organized? Find out how HomeOnTrack helps ease the home project stress and keeps you on budget and on schedule!